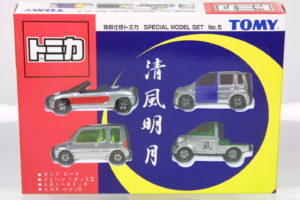 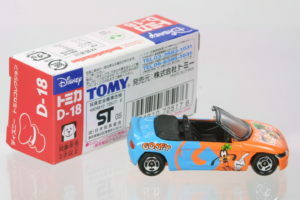 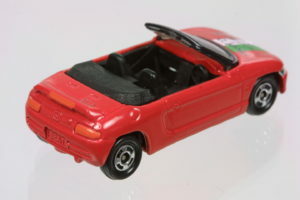 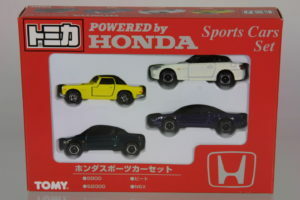 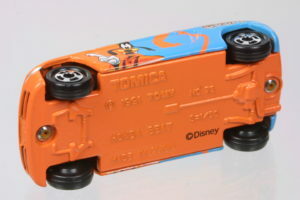 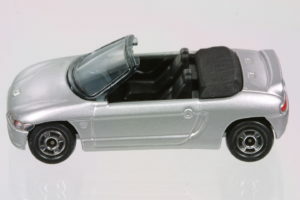 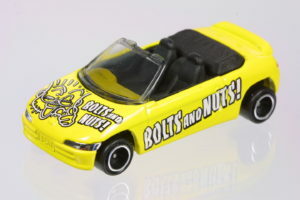 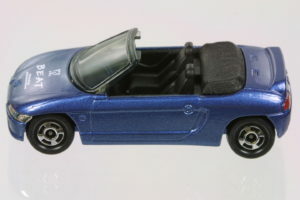 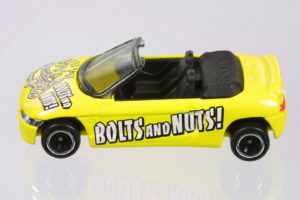 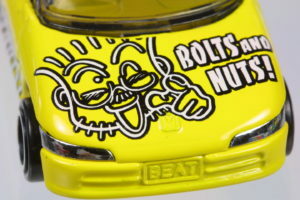 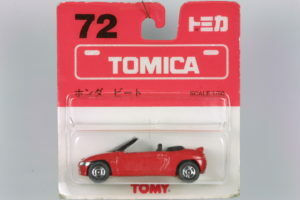 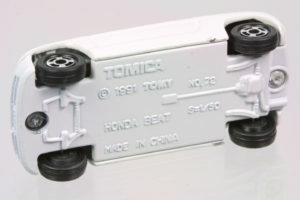 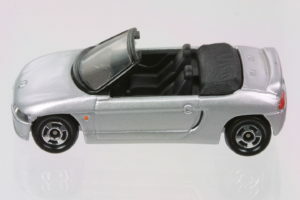 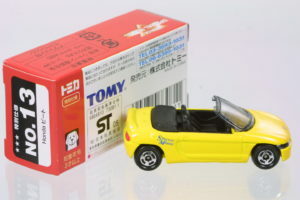 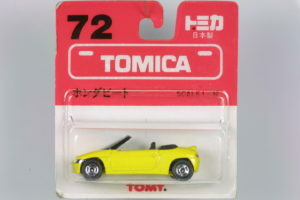 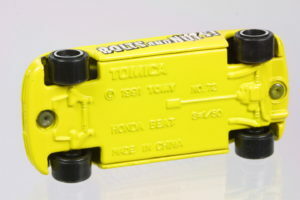 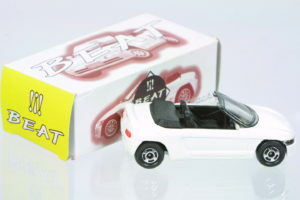 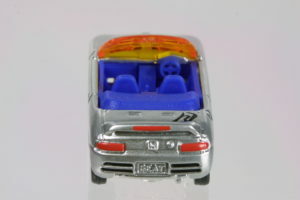 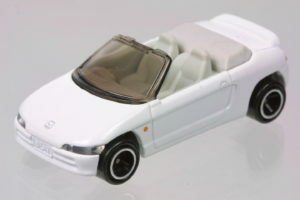 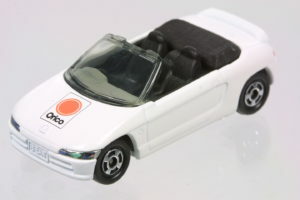 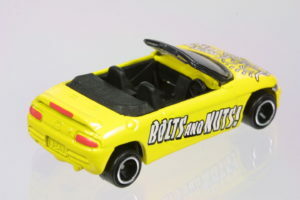 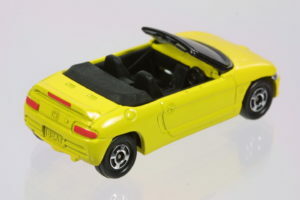 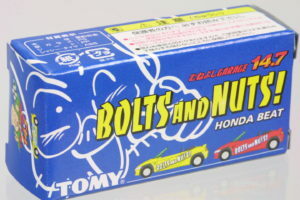 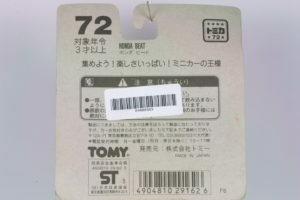 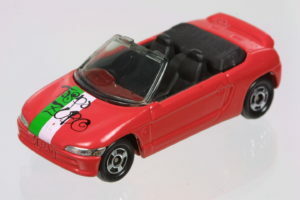 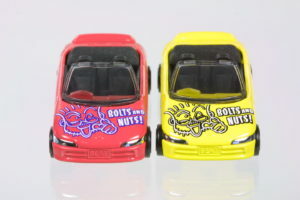 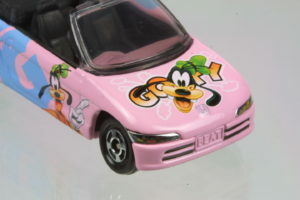 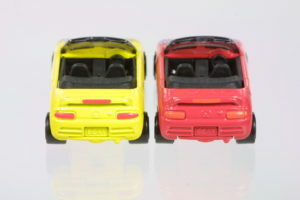 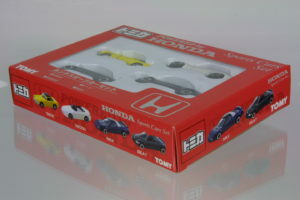 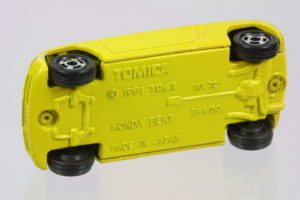 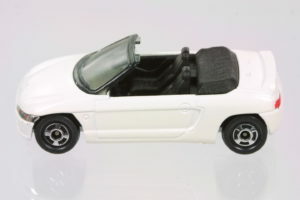 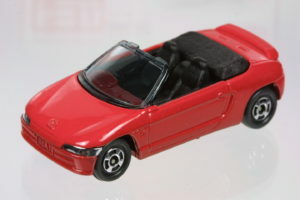 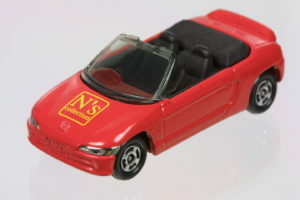 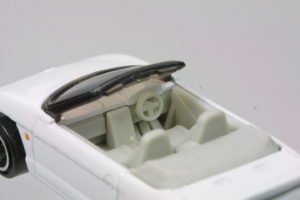 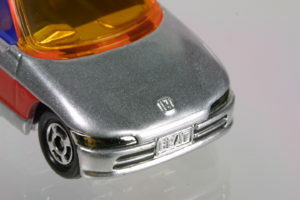 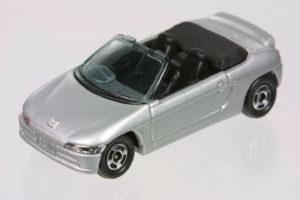 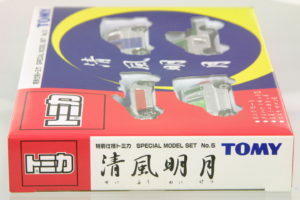 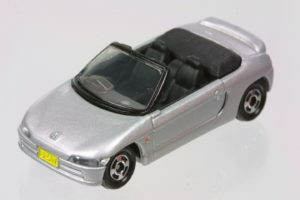 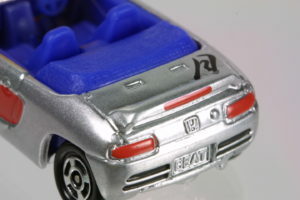 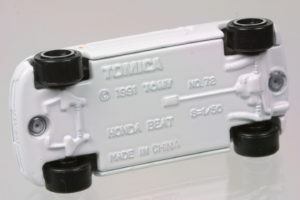 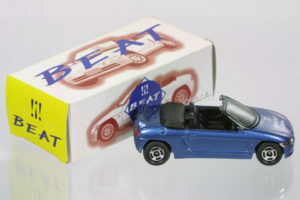 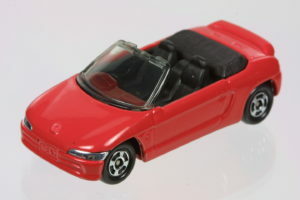 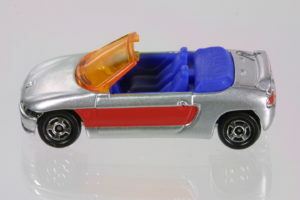 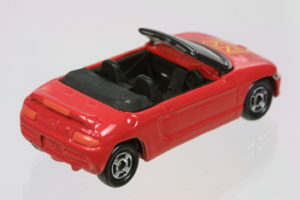 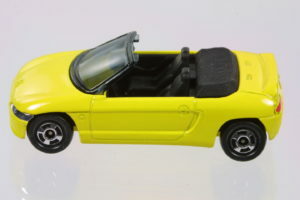 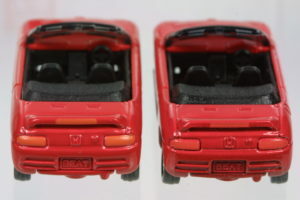 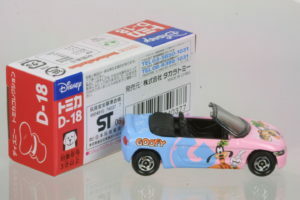 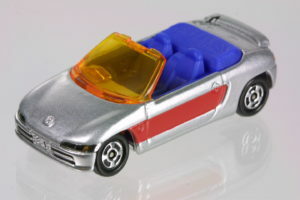 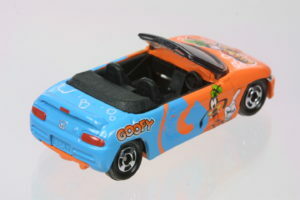 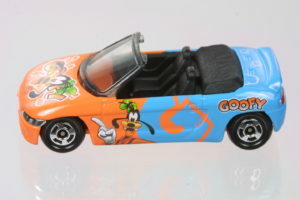 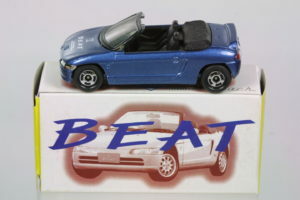 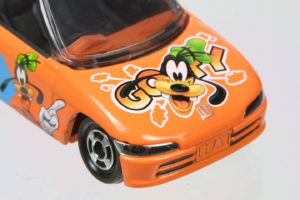 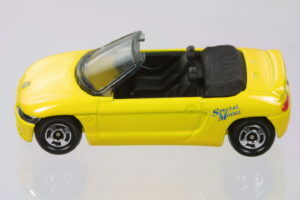 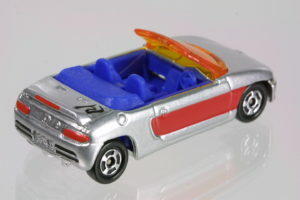 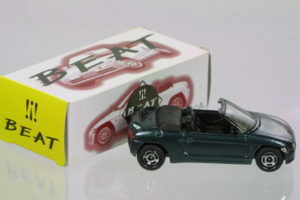 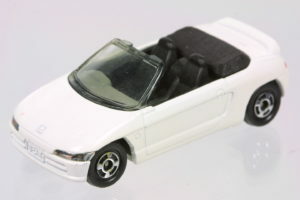 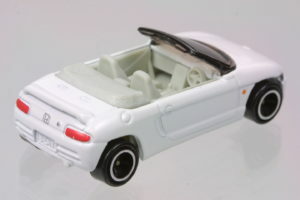 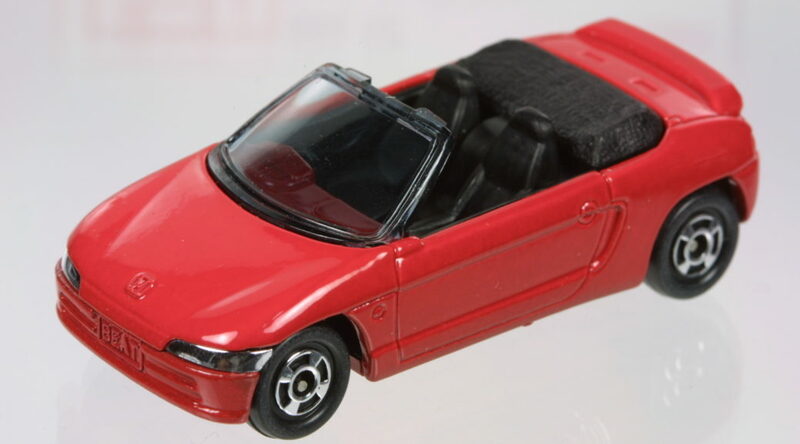 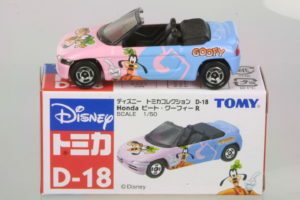 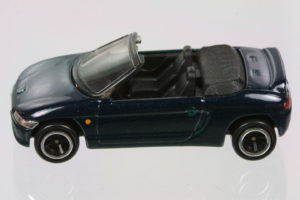 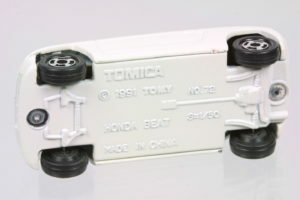 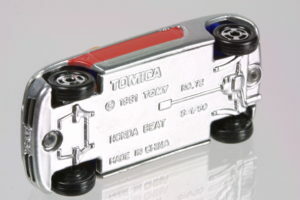 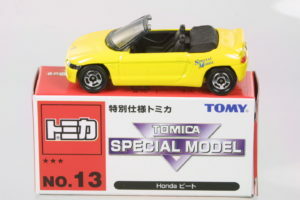 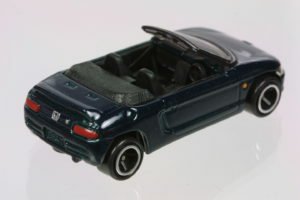 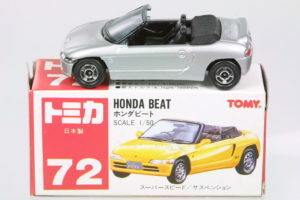 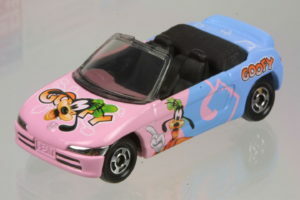 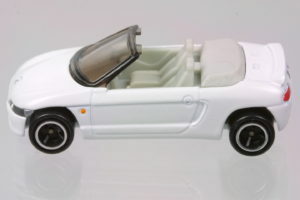 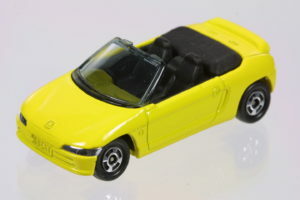 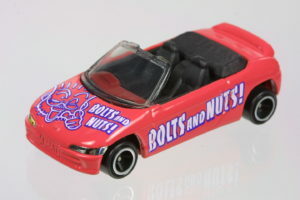 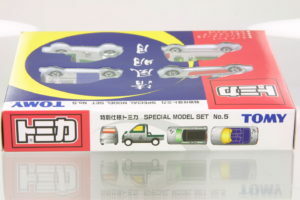 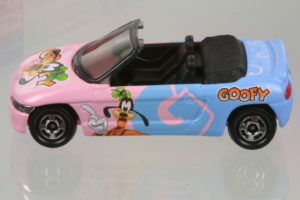 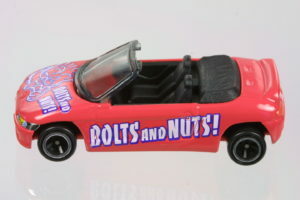 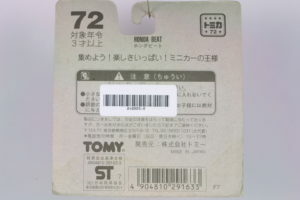 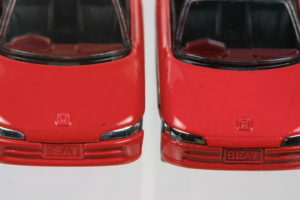 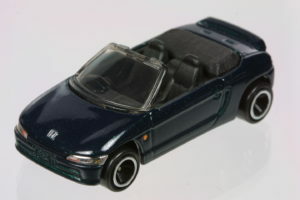 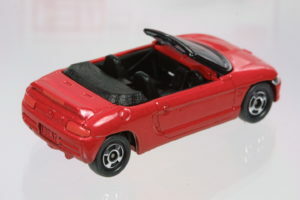 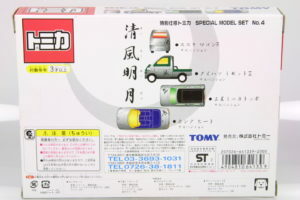 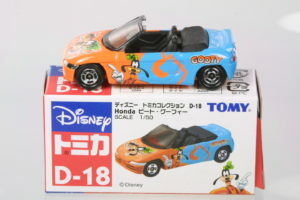 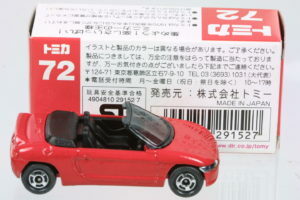 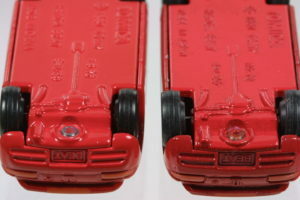 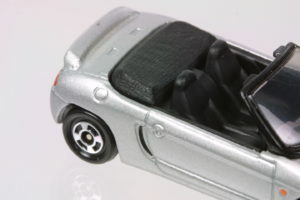 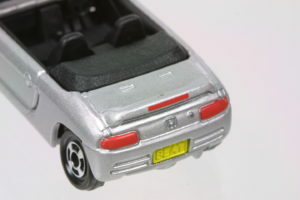 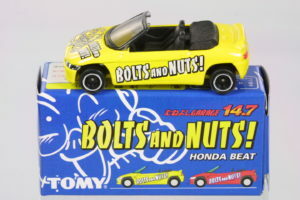 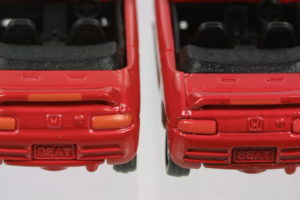 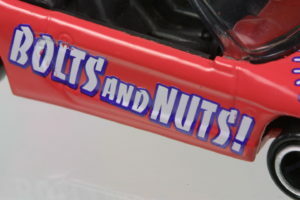 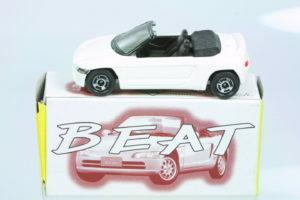 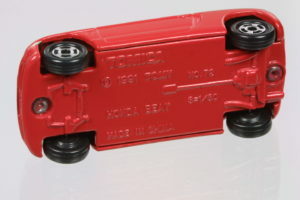 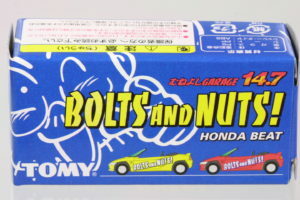 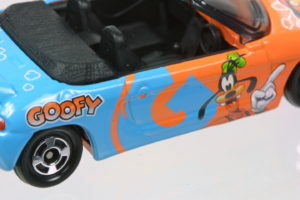 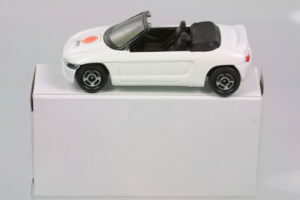 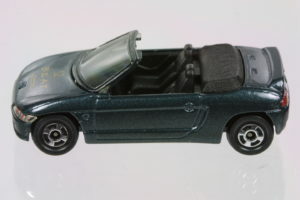 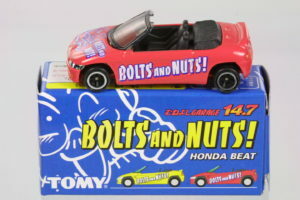 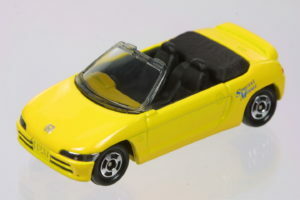 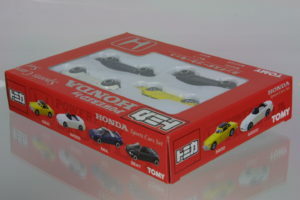 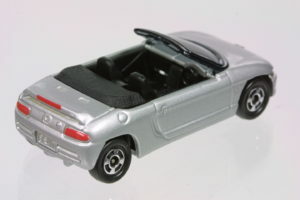 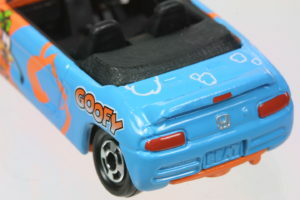 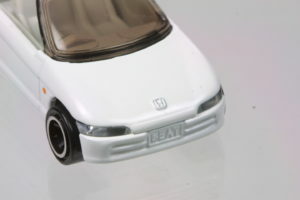 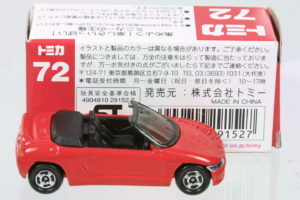 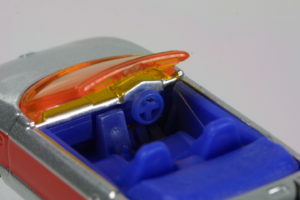 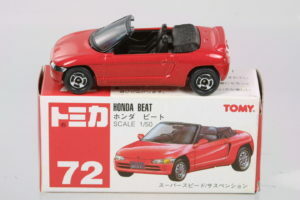 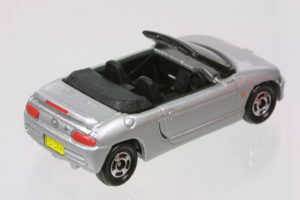 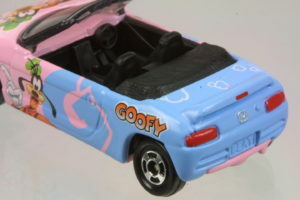 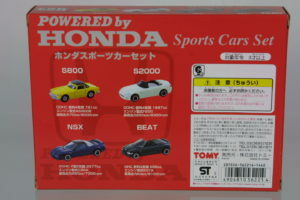 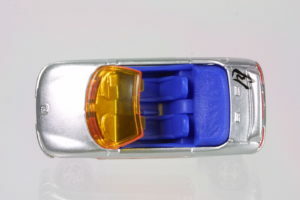 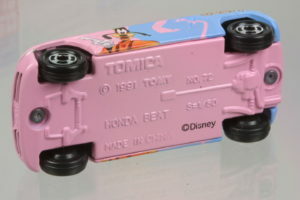 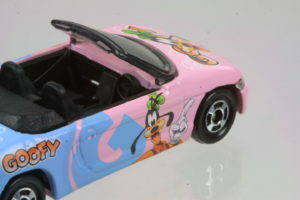 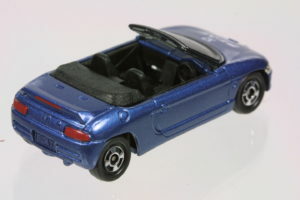 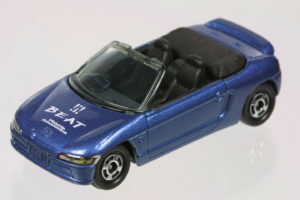 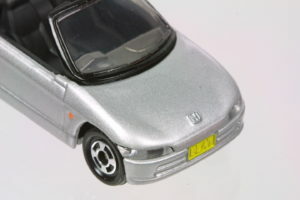 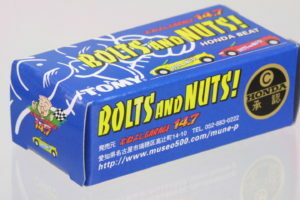 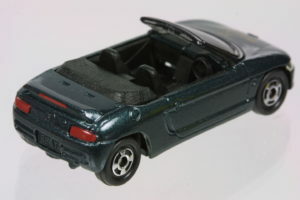 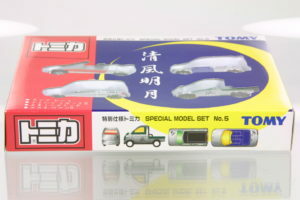 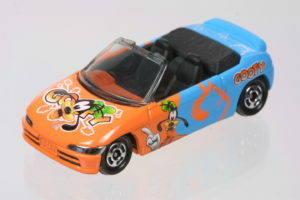 Tomica introduced quite a number of variations of the Honda Beat some Made in China while the earlier ones were Made in Japan. 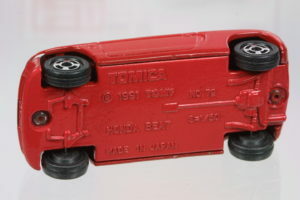 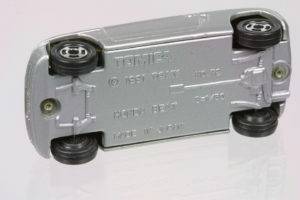 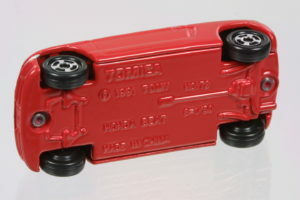 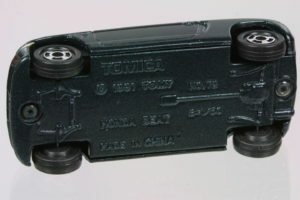 Most of the Japan-made ones had pinted metal bases. 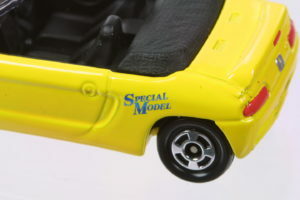 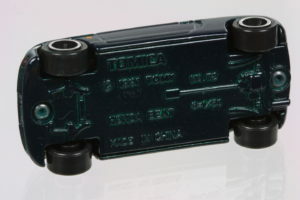 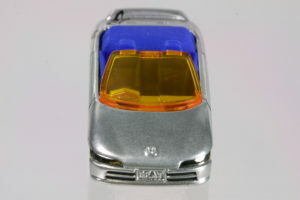 There are no operating features on this model unlike the S800. 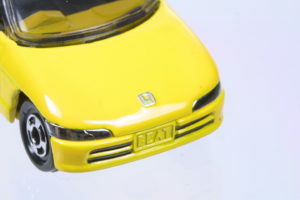 The best feature of this model are probably the chrome headlights. 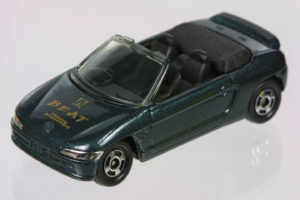 A black Beat with chrome lipped wheels from a “Powered by Honda” set that also includes an S2000, NSX and S800.